B&N SFF Blog loved my new collection! Posted by Beth on Dec 1, 2017 in Blog, red dust collection | Comments Off on B&N SFF Blog loved my new collection! Wow, this was an incredible surprise this week: the Barnes & Noble SFF Blog reviewed Red Dust and Dancing Horses and Other Stories, and they had some pretty nice things to say! 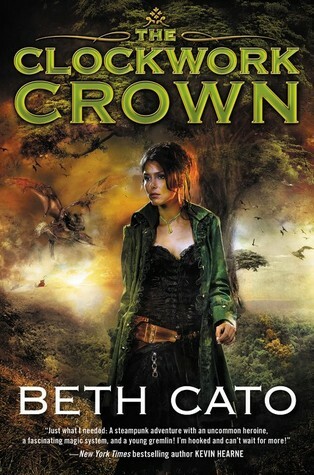 There is no feeling quite like reading a Beth Cato story, and it’s time more people experienced the sensation. The ones found in Red Dust and Dancing Horses would be a great place to start; they are intense, heartfelt epics in miniature, often focusing on the relationships and people at the heart of broader, more overtly magical events. They discuss many stories and what they enjoyed about them, and wrap up everything with this lovely note. 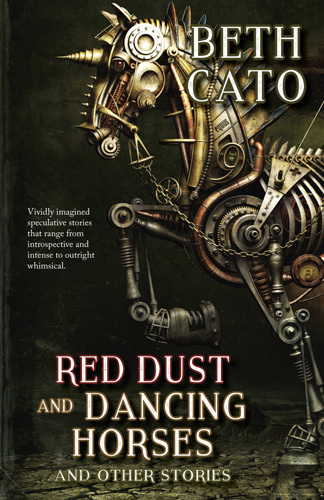 In short, the stories in Red Dust and Dancing Horses are intense, sincere, and unusual, revealing their creator as a truly versatile talent, spanning fantasy, science fiction, horror, and all the subgenres in between. At the very least, it’s the rare book that will make you cry while reading about a fight between giant robots. Well, dang. I’ll happily take that kind of feedback. You can buy the book in paperback or ebook at Barnes & Noble, request it through your local indie store, or snag it at Amazon. 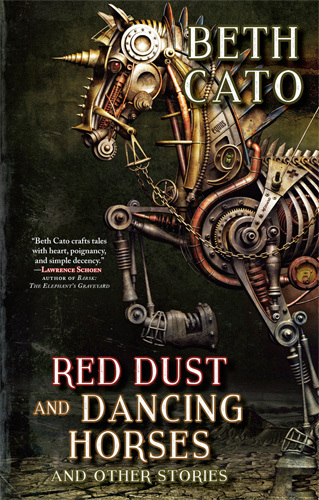 RED DUST AND DANCING HORSES out today! 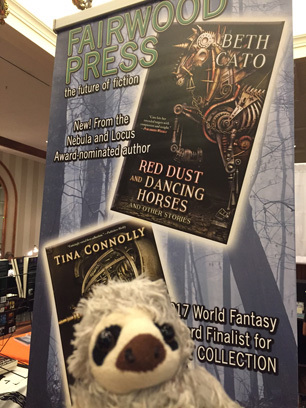 Posted by Beth on Nov 7, 2017 in Blog, red dust collection | Comments Off on RED DUST AND DANCING HORSES out today! People said nice things about it! Order it in paperback and ebook from Amazon, Barnes & Noble, and straight from the publisher, Fairwood Press. It’s Labor Day already? How did that happen? 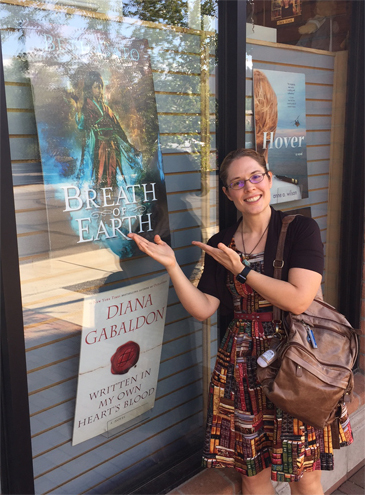 I fell behind on website updates, as in often the case with book release time, but my Bibliography and the Blood of Earth Trilogy media page are now current. Below are some highlights from August… and two chances to enter to win my books over on Goodreads, including a galley of my collection, out in two months! Giveaway ends September 10, 2017. It’s my 37th birthday, and I am sharing something awesome with the world: the cover of my short story and poetry collection, out this November from Fairwood Press! The artist is Kazuhiko Nakamura. The collection will include several of my steampunk horse stories, so this cover is absolutely perfect. Look for a full table of contents and preorder links in the coming months! I’m emerging from my Revision Cave with some happy news: in fall 2017, Fairwood Press will release a collection of my stories and poems! It’s called Red Dust and Dancing Horses and Other Stories. This will be a novel-length selection of my works–the best ones out of over 70 published stories and 100 poems. And the cover. Oh wow. The art is absolutely perfect. I can’t wait to reveal the final version in the coming months! There will be a lot more news to come!